« Lessons Taught Me by My Horse: Lesson 10. Become the kind of human a horse seeks to be with! The chances are that your horse would not choose to follow you, even if you possessed all of the qualities that would make you the most enlightened leader the world has ever seen. Why not? To answer this question we need to examine why horses choose to follow others of their own species. Essentially, there are two main reasons why one horse will choose to follow another. One of these is friendship but not as an enlightened human might care to define it. Truly, it is far more basic. It is feeling. It is bonding through the gut. There are some things which science cannot explain and friendship is one of them. 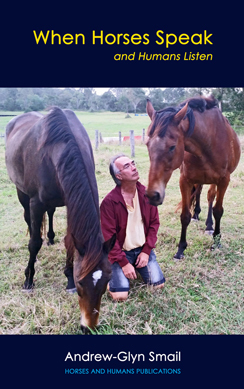 Essentially, as I experience it with horses and my best friend and partner, friendship is an energetical and emotional confluence of two life forces, which can become more important to the creatures involved than even food. Indeed, they will even risk safety and security to be with each other. So too with horses. Then there is that special form of friendship which also involves a sexual relationship…. Secondly, there is a collection of reasons why one horse will choose to follow another and they have everything to do with equine well-being. Here I am referring to those which serve to help the horse feel safe, secure and content. Horses choose to follow other horses to escape danger, find food and water and enjoy each other’s company in natural surroundings, and so forth. In other words, any kind of movement which a trusted horse makes in a direction that makes sense to other senior members of the band is likely to result in them choosing to follow that horse with the foals, adolescents and the stallion taking up the rear. 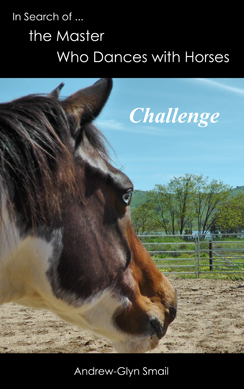 as such followership is a more appropriate model for understanding equine interaction than leadership. There is a temptation to view following and followership as passive activities. However, because choice plays such a crucial role in determining whether a horse will follow another of this species or not and because such choice is so fully in line with horses’ active commitment towards sustaining and preserving the communal nature of their social structure, we need to view following and followership as what they really are, namely, active undertakings with a hidden power which even borders on the subversive. The flip side of choosing to follow may be found in a choice not to do so. 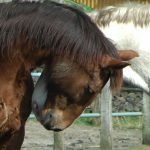 The decision of the roan mare, Blue Sue, to abandon Cloud and return to the father of her foal, Red Raven, is a particularly moving example of this. Nevertheless, such an occurrence is quite rare. The most profound example of the power of followership amongst horses may be found in their choice not to follow a bully. The vast majority of horses actively deny the power of “leadership” to a so-called “alpha” creature who throws their weight around and seeks to dominate others of the species. Let us not underestimate this power of choice. Conversely, it is also within a horse’s power to choose to associate with such a dominant horse at times. An example of this was when Pip returned to the herd in Belgium after recovering from her tendon injury. Duke was around to greet her and Pip responded warmly. To illustrate the potential of this power, let us try and imagine an equivalent in human society. 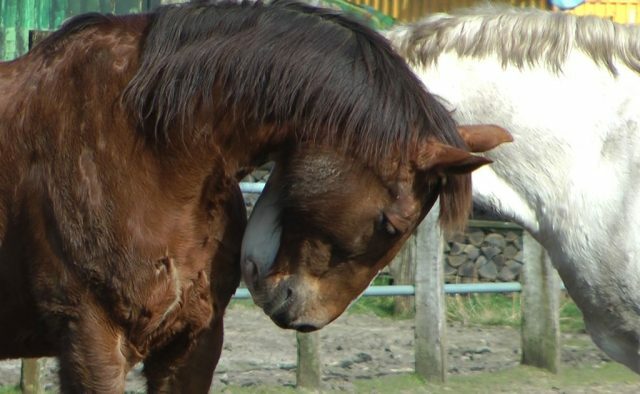 In our so-called free Western democracies, we humans get to exercise the type of choice that horses take for granted every single day only once every three to seven years depending on the country we live in. This we do in the form of elections. Our choice of whom to follow is limited by strict rules governing the nature of political parties. Yet it is effectively limited far more by the media, which is largely held and controlled by vested private interests or corporations that effectively have little or no form of public accountability. And once we have exercised our choice, we are denied every right to withhold followership from whomever assumes power. Most Western democracies deny ordinary people the right to hold referendums on important matters between elections and, if they do, the outcome is not binding on the “leadership” of the day. More importantly, there are no nation states that effectively allow ordinary people to revoke their support and recall the government to pave the way for a new exercise of choice. Indeed, there are countless measures to enforce our compliance with whatever our “chosen” leaders decide to foist on us, from the economic in the form of the threat of unemployment to the criminal if we decline to have up to one third or more of our hard-earned income spent on implementing policies which we do not support in the name of tax. In practice, our form of so-called leadership seems to have more to do with the pursuit of vested interests by a small wealthy minority with the connivance of politicians driven by self-interest who ultimately rely on manipulation, control and force or the threat of force to “lead” us under the guise of “democracy” and the “rule of law”. As a result, the disparity between the obscene wealth of a few and the diminishing disposable income of the many has become so acute that some organisations, which have traditionally served as the guardians of this societal imbalance are warning against the inherently destabilising contradictions which this disparity represents. And I have not even got to the less developed parts of the world. Now imagine our human society with all its warts and pimples being run according to the principles of followership which guide communities of horses. Gone would be the bullies, those who rely on subterfuge, manipulation and on incessant streams of exhortations to materialism coupled with dumbed down media entertainment, the modern equivalent of gladiatorial games, contests to dominate and control us and, ultimately, legalised violence or the threat of it in the name of justice. No longer would the tail wag the dog. The notion is utterly subversive and, dare I say it, liberating. Perhaps we need to reassess our idea of followership as opposed to leadership? So when you next open the gate and enter the field which your horse knows as home and watch your horse approach you, should you not perhaps stand in awe and feel blessed to know that your equine friend has chosen to come to you and that they are doing so, not because they have been trained (conditioned), cajoled or threatened into doing so. Rather, does your horse not recognise in you a human they seek to be with: a friend and being trusted with their well-being? Is the mare in the front lame, or all they all bothered by flies? As far as I can make out, she is reacting to flies and/or flying insects, as are the others. It can get pretty extreme in the warmer months.